Response from Charles Tyrwhitt: I'm certainly very sorry to learn you have had a problem with a shirt, which is most disappointing. I've checked our email system and I'm afraid we haven't received a single email from you. I can only assume there must have been a problem with them sending - possibly due to the size of the attachments. Please forward your email to us at info@ctshirts.com or use the 'Contact us' form on the website. We'll then gladly get back to you ASAP to resolve the issue. 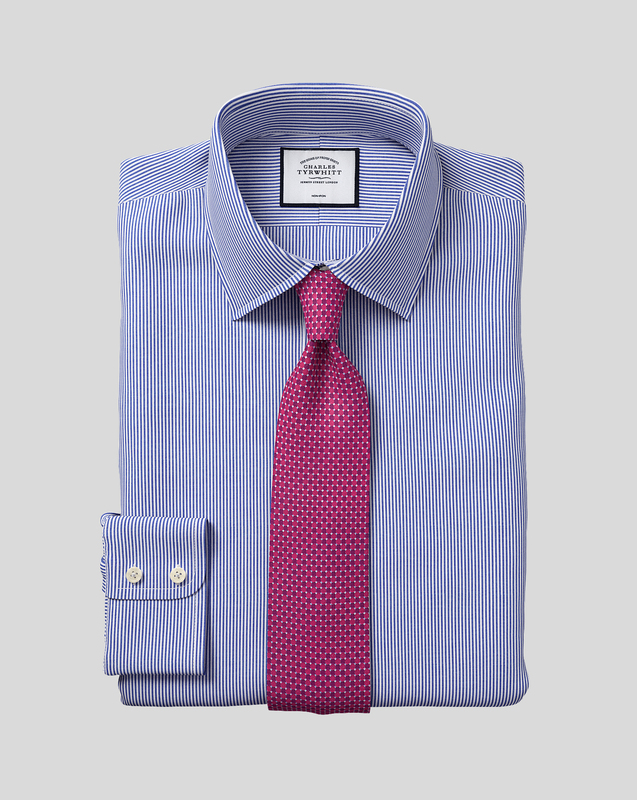 Response from Charles Tyrwhitt: The Bengla shirts are constructed from the Poplin weave, which is the very lightest we offer - great in the warmer summer months, but certainly lighter than most other weaves. While we manufacture all around the world, we demand nothing but the highest quality standards from our suppliers - as we know our customers deserve only the best. Looking back, I can see you have occasionally purchased thicker weaves such as the Panama, so you may wish to send these ones back for a heavier replacement. You can do this online very easily at www.ctshirts.com/rebound. Love the Bengal Stripe shirt.